Ourass Travels Morocco organize private tours from Casablanca to explore Middle and High Atlas mountains, Sahara desert and Marrakech. All our tours are guided. Everyday tour from Casablanca to the Middle and High Atlas mountains. During the trip you ride camel in Merrzouga desert, we visit Erfoud, Rissani ,Todra gorges and Dades , Ait Benhaddou and Marrakech. Our private driver “Ourass Travels - private tours in Morocco” will pick you from your riad in Casablanca, and we drive to Rabat which is the administrative capital of the Kingdom. We arrive to Rabat to explore main sights. We visit the Mechouar – ramparts and defensive walls around the Royal Palace, Oudaya Kasbah – the Hassan Tower and the Mohamed’s V Mausoleum. We continue to Fez via Meknes. Visit of Meknes – The Medina, the tomb and the barns and stables of Moulay Ismail Moulay Ismail Mausoleum, the Bab Mansour el Aleuj – the largest and most remarkable gate in Meknes. Road to Fez via Volubilis. Visit Volubilis – Roman ruins before returning to Fez. Check in at the hotel. Dinner and overnight. Breakfast. Visit Fez – discover the alleys of the medina of Fez, with its many quarters of artisans which still exists in respect of the Moroccan tradition such as : the weavers, tanners, dyers and potters. Visiting the Henna square, Boilermakers quarter, the Andalusia quarter, the Ben Inania medersas, the Nejjarine square and museum : woodwork, the Karaouine university, the Moulay Idris II mausoleum. Dîner and overnight. Our private driver “Ourass Travels - private tours in Morocco” will pick you from your riad and we pick up you from your hotel and we drive towards Middle Atlas mountains visiting Ifrane , city called as Switzerland of Morocco. We continue our Morocco tour passing the cedar forests in Azrou. Here we may watch local monkeys living in forest. We drive to Midelt, which is very famous for mineral products and apples. Then we drive across Ziz valley. And we will visit Erfoud , famous for its fossil products. We drive to Rissani and we continue to Merzouga where we stay in desert hotel. After breakfast we will visit the Khamlia village. 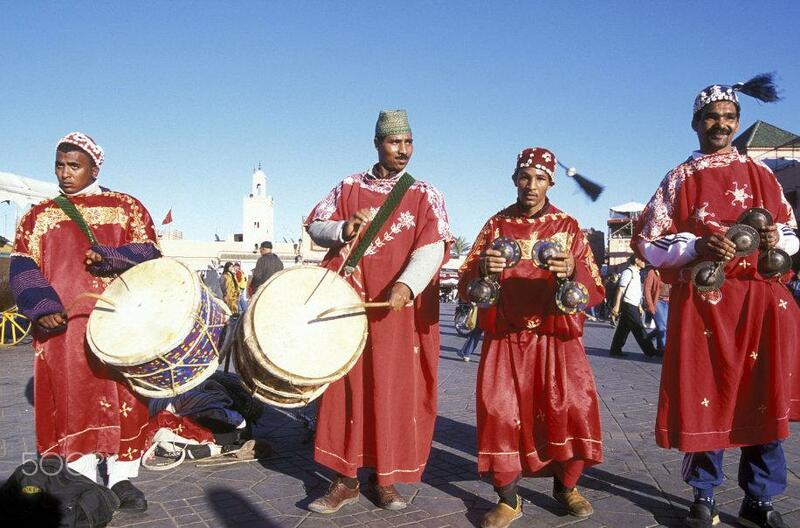 Here we meet and listen to local Gnawa people , musicians and we will learn about their traditional music. We visit and have some tea with local Nomad families living in the Merzouga desert. We will drive in desert dunes to explore large desert of Erg Chebbi. We also visit city of Rissani which is a fortified village and we explore traditional souk. We prepare for camel ride in desert in Merzouga. 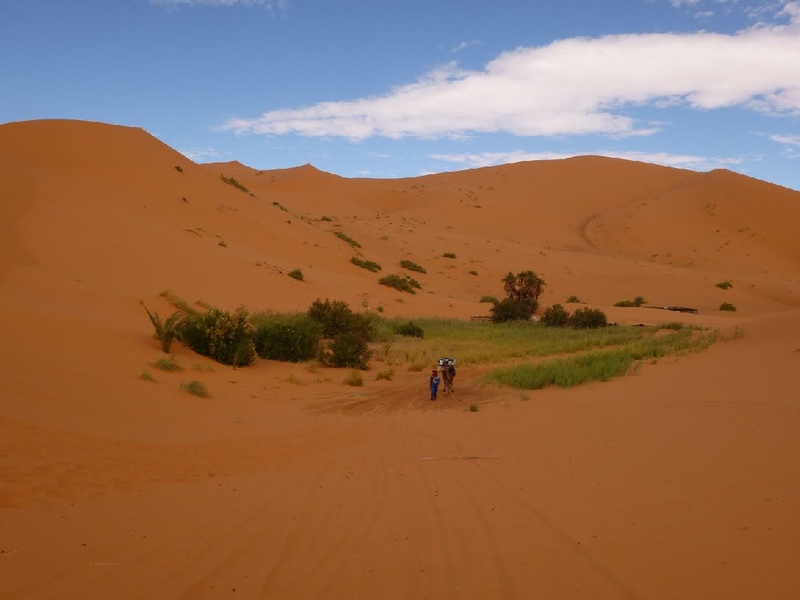 You will enjoy camel trek with local Merzouga camel guide to explore sand dunes in Morocco. We reach Merzouga desert camp where we will have berber dinner ,we enjoy Berber music and we stay this night in desert tents in Merzouga. Today we continue by camel ride back to Mezouga village and we enjoy desert sunrise in Merzouga. Then we drive towards Tinghir to explore Todra gorges , the highest and narrowest gorge in Morocco. We drive through the Dades Valley to explore the rock formations known as “monkey toes”. We will spend night in local riad / hotel with dinner and breakfast. After breakfast, we explore nearby “Kalaat Mgouna” famous for its rose products. We pass the route of thousand Kasbahs to reach Ouarzazate, city called as “the Hollywood of Africa”. We visit local movie studio and kasbah in city. We also explore the Ait Benhaddou local kasbah. It is the largest kasbah in Morocco and UNESCO world heritage. Many famous movies were filmed here including Gladiator , The Mummy and Lawrence of Arabia. We drive through the Tizi ‘n’ tichka mountain pass over the High Atlas Mountains to reach Marrakech. We spend night in local riad / hotel with dinner and breakfast. Breakfast. Visit of Marrakech – the Menara gardens, the Saadien Tombs, the Bahia Palace, the Koutoubia minaret and the Jemaa el Fna square. If you want you can visit the Fantasia show. Overnight at hotel.. End of guided desert tour. Ourass Travels Morocco. Morocco tour in comfortable A/C vehicles - 4x4 or minibuses. Tour available every day during the whole year. 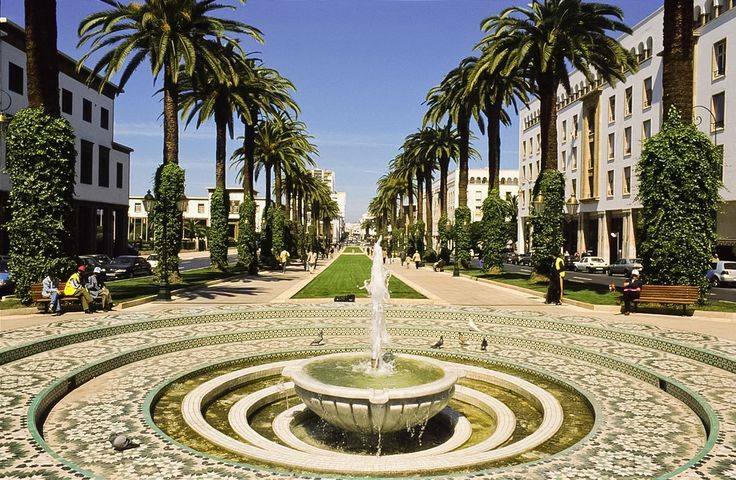 If you wish to create own Casablanca tour or modify our designed tour, do not hesitate to contact us.